Hope you are having a wonderful weekend Butterflies! The highlight of my weekend so far was yesterday's Blogger Preview Night of The Makeup Show in New York City. 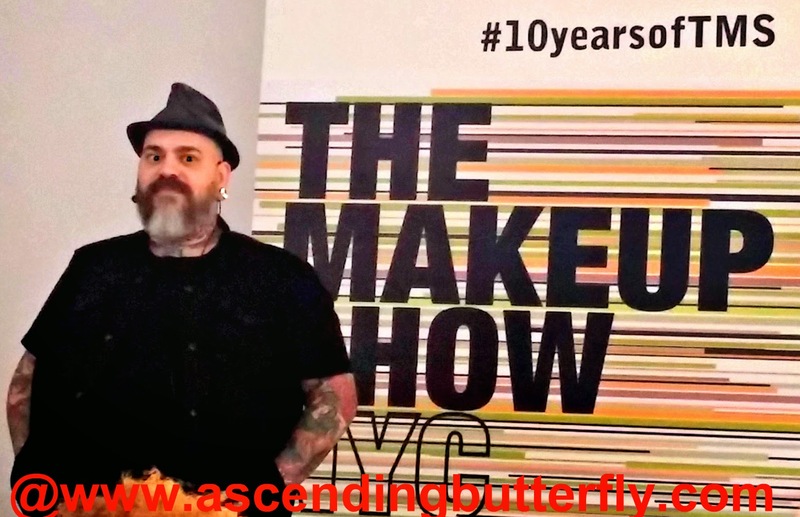 The show is celebrating it's 10 year anniversary, and bloggers were treated to a preview that was hosted by Makeup Artist, and Beauty Editor, James Vincent. While he says he is not friendly, secretly he was the secret brother in all of our heads and made us laugh quite a bit! Makeup Artist. and Beauty Editor, James Vincent hosts Beauty Blogger Preview Night In New York City! 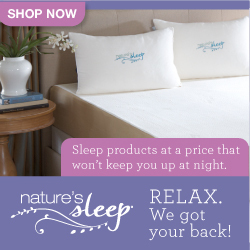 Throughout the years many products have launched at this show by both emerging and established brands, and this year's show which begins Sunday, May 3rd at the Metropolitan Pavilion in New York City will be no different. In addition to the show hitting New York City on May 3-4th, the show will also hit Dallas on June 13th-14th, a Pop-Up Shop on August 29th-30th, Chicago on November-8th, and hits Orlando from January 30-31st in 2016. There will be amazing Keynote Speakers who will be speaking on a wide variety of facets and nuances of the Makeup Industry from practical hands on 'how-to's' to making money! You can even view the show's floorplan in advance so you can scope out the booth numbers for brands you want to be sure not to miss! The show will also be offering exclusive 10th Anniversary Products that are a nod to one of The Makeup Show's defining concepts including products from INGLOT, Crown Brush - Brush Set, I Make You Beautiful - Magic Touch Sponge, Glamcor Tec - The Makeup Show Custom Branded Light Kit, London Brush Company - Limited Edition - 5-Piece Set, Pinnacle Cosmetics - Vinyl Lipgloss, Make Up For Ever - Artist Eye Shadow Palette, Mehron - Cream and Powder Blush Set, and TEMPTU - Limited Shade Bronzer. Quite a few of these were in the blogger gift bags. And of course with Blogger Preview Events, there are swagbags. But let's face it, there are swagbags and there are SWAGBAGS on fleek! Needless to say this MakeUp Show Anniversary Swag Bag was filled with surprises and it honestly deserves it's own day in the sun with real pics that are hi-res and not grainy, so that is coming soon. and I will take a picture of the whole haul to show you and then review the products as time permits individually within their own separate posts. In the meantime there are a few brands I will specifically be looking for like Smashbox, (I LOVE their products, and I will always love they were the very first Beauty Brand to support Ascending Butterfly's Mission and just really 'get' us and our vibe.) They took a chance on us when my numbers were low but my organic reach very high, and I still wax poetic about them! Their Gel Eyeliner is really my favorite! I will be looking for Eve Pearl, as they did a makeover on me during BeautyPress Spotlight Day in New York City and I used the products I was given to the end of the containers that's for sure! I hope they will be doing makeovers at their booth! I will wait for one! And while I have never worked with them personally, I am going to be pouncing my way over to the Kat Von D booth. Much like me she has a respect for a signature red lip that matches my own. I DIG her style! Words were being thrown about like Contour, Contouring Kits, Bronzer, Duo Lipstick/Blush Combo Products, and Brow Products as well as lashes were being discussed, how brands are incorporating these trends into the kits and how artists will be waving their 'magic brushes' to create their own interpretation of the trends are what I am waiting on baited breath to see. And we all know I tweet about syfy's Face Off and Ru Paul Drag Race so obsessively I get a ton of their cast following me back, so the super creative show makeup will definitely be something I will watch closely and get great pictures off! Butterflies, Which brand are you most looking forward to connecting with at The Makeup Show? What type of makeup look is your favorite? What do you want to learn to do better? If you could ask one keynote or one professional any one question about Makeup what would it be? Watch our Twitter @ascending1 and our instagram: ascending1 for photos and updates from the tradeshow floor! Tweet me anything you want a closer look of while I'm there! FTC Disclosure: This is NOT a sponsored post, no monetary compensation has been received, and all opinions are 100% my own! I was given press access to The Makeup Show for Editorial Consideration. I am disclosing this in accordance with the Federal Trade Commission 16 CFR, Part 255 - Guides Concerning the use of endorsements and testimonials in advertising, you may check our Giveaway and Disclosure Page for additional information regarding Ascending Butterfly Disclosure. I'm a big makeup lover it all started as I watched my mom doing her makeup for work and for play she always put her best beautiful face forward ! I've never been to the Makeup Show so I'm happy to see your take on it and looking forward to seening your pic.s . As for my favorite makeup line I don't have one I mix and match different products to achive the look I want . This sounds like a fun event! I learned most of my makeup tips from YouTube! When I was in college I had no idea how to apply makeup until a makeup artist at Trish McEvoy taught me how to apply everything. This makeup show sounds amazing! This sounds like such a fun event. I would love to go to a preview - the show looks like it is really fun! This sounds like a great event. I have never been to anything like this before but would love to attend one someday. As far as my favorite makeup look...less is always best. Sounds like you're about to be real busy! When are we not though, right? :) I look forward to reading your reviews. I've never tried Smashbox. You've got me curious now though! This sounds like so much fun! I'm horrible with applying my makeup, I could sure use the tips! I have never heard of the Make Up Show but I would love to attend and see new products and look ideas. I think that my daughter would really love this. She is really into makeup.